I’ve always been intrigued by caves and when I saw that Belize had several unique and interesting ones I knew that I would be venturing into one of them on my trip. 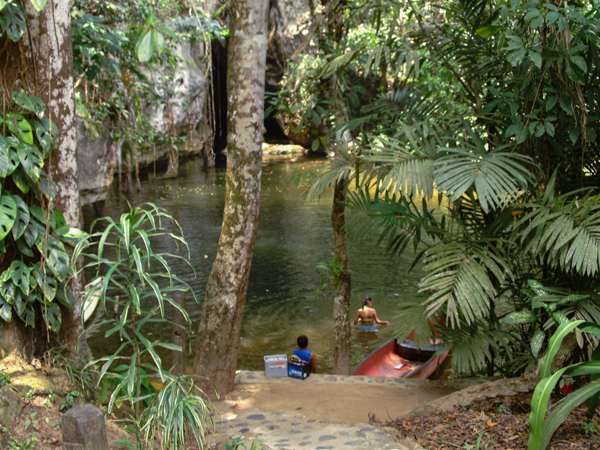 I chose to take a guided canoe through Barton Creek Cave, Located in the Cayo district of the mainland. This meant waking early, departing my island paradise in Ambergris Caye, and flying on a puddle jumper for the first time ever (and I hate flying ). The skies were calm and clear, and my short plane ride to the mainland was actually much less scary (and a little fun) than my previous flights on 747’s. 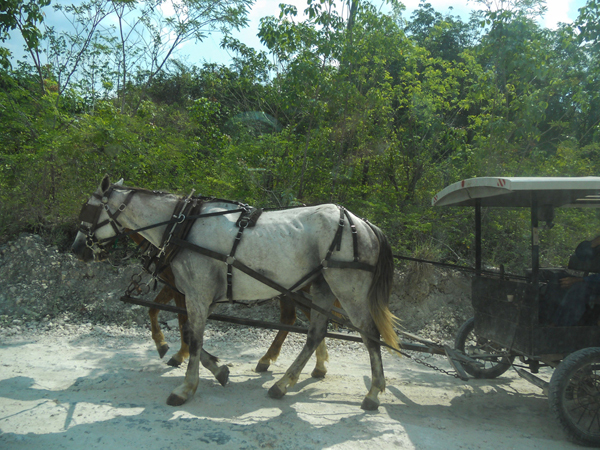 From there we took a few hour long van ride through the countryside and through Mennonite farmer’s territory, we even passed a few along the way. After a quite bumpy and rough ride through dirt roads we arrived to several small huts and the beautiful creek surrounded by lush green forest. As our guide paid the fees we got our first glimpse of the cave’s entrance along with local children having a swim in the water. 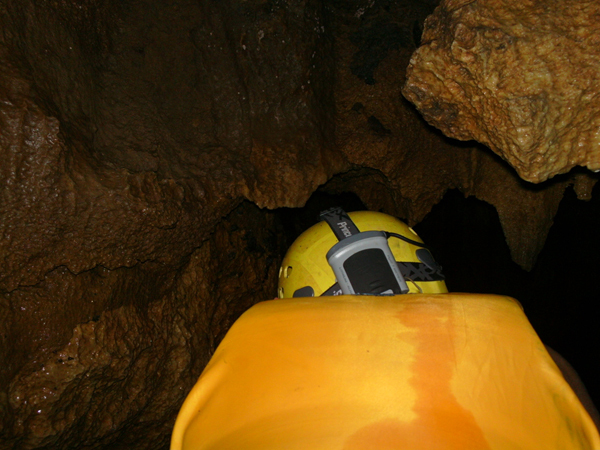 We were suited up with safety helmets, lights and life jackets and began the journey into the darkness. This cave is considered one of the largest in the world, estimated to be over 4 and a half miles long and in some places 100 feet tall. It is also filled with a rich and mysterious history as it was used by the Mayans who believed caves to be entrances into the ‘underworld.’ Evidence of Mayan use was left behind in artifacts and the remains of at least 28 discovered bodies inside. 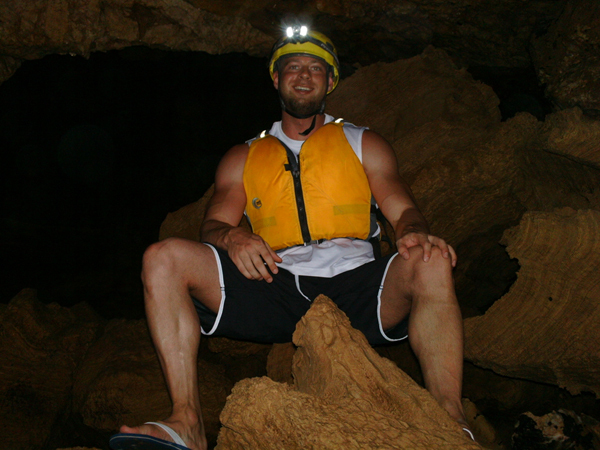 On this day the water was calm and we paddled our canoe into the cave with leisure. As we entered the only other group there was exiting and we had the entire cave to ourselves. With eyes wide open our view was filled with beautiful formations, bats, stalactites, accompanied by the sounds of water seeping through the rocks above and dripping down. At a few points in our journey underground we had to lay completely flat for the low clearance of the rocks above. When we made it to the furthest point in on our tour (about 1 mile into the cave) there was a rocky area to get out and explore (with very careful foot work, it was slippery). I’ve walked through numerous guided cave tours and none of them were quite like the adventure and excitement of a water-filled cave and paddling a canoe around. It’s an experience I’ll treasure for the rest of my life, and would recommend it to anyone who has the opportunity to go. 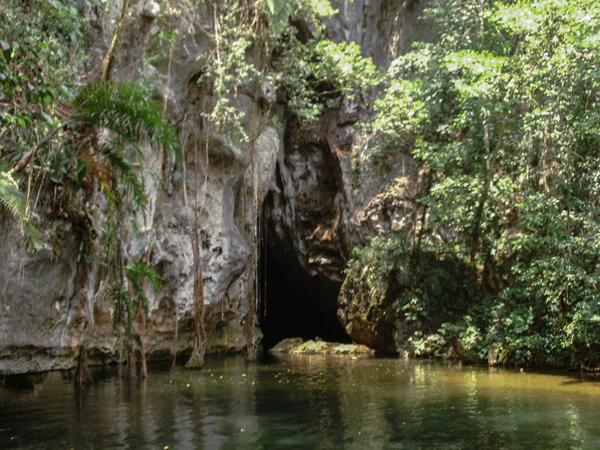 I didn’t get a chance to explore Belize’s other very famous cave, the ATM (Actun Tunichil Muknal) cave, which I’ve also heard great things about; so I cannot compare the two.